Bobby and Vicki Roberson grow vegetables on their farm in Moncure, NC. Through a loan made possible by Slow Money NC, they were able to build a hoop house and can now grow tomatoes, cucumbers, and peppers and more, even in Winter! You can find their produce at the Durham Farmers Market. historic Roll’s Florist building in Durham being on the market and started her own shop, Pine State Flowers. Her shop is one of the few flower shops in the country to source 100% local flowers! 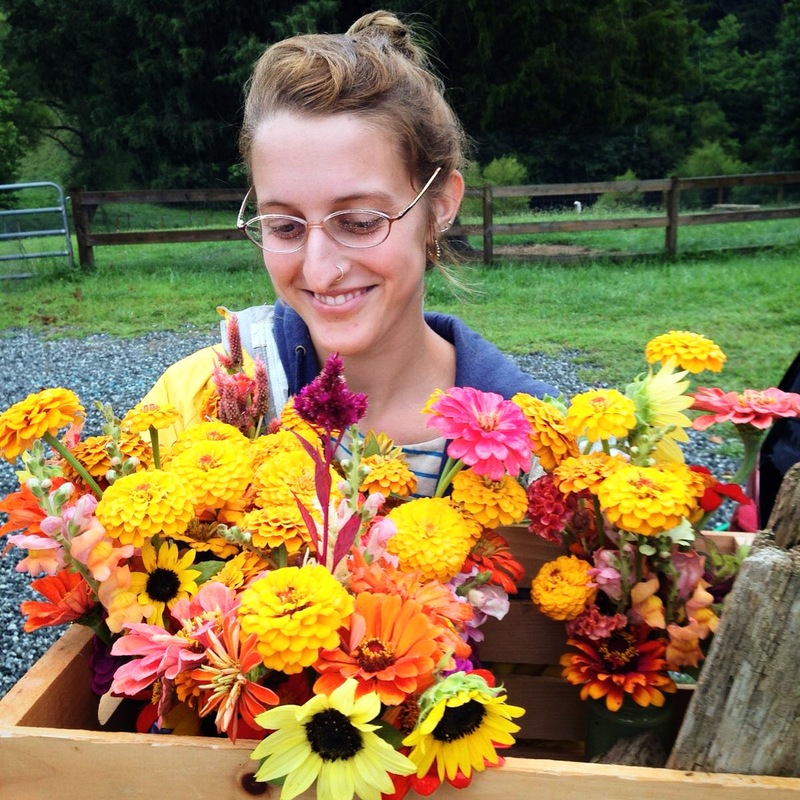 A Slow Money NC lender loaned Maggie the money to create a delivery system for her flowers, make some improvements to her retail space, and develop her own flower farm of annuals and perennials behind the shop. Marty Hanks had a dream of creating the first beer hops farm in Chapel Hill, noting the surge in home brewers in the area. He also wanted to promote using the hop shoots, which in Europe are used in upscale dishes but are generally wasted here. As a beekeeper, Marty also realized that hop leaves and hops not fit for beer brewing could be used as smoker fuel for beehive work. With this ambitious three-part plan in the works, Marty needed some help from Slow Money NC to make it happen. Slow Money NC’s loan helped him buy hops plants and expand his operation with more irrigation equipment. Ross and Jillian Mickens were able to start living their farming dreams as tenants at Breeze Incubator Farm in Hurdle Mills. After spending two years honing their sustainable farming skills, they are now on their own beautiful 43 -acre farm in Cedar Grove, growing produce, flowers, and microgreens organically. With the help of Slow Money NC, they are building a proper wash and pack area and a cold storage system for their farm. You can find their produce at the Chapel Hill and South Durham farmers markets, as well as local restaurants. Check out their website for more information. Cindy Hamrick and her three sons began farming in 2011. After a few years of experience growing their own food, it was clear from their love of cows (and yogurt) that they had to start an organic yogurt dairy! They now have a herd of Jersey Cows which happily graze on 15 acres just north of Durham. Slow Money NC helped them secure a loan for several more cows to increase their yogurt and kefir production to meet a growing demand. You can find Carolina Farmhouse Dairy products at all three Weaver Street Market locations, as well as the Chapel Hill and Carrboro Farmers Markets. Aniko Redman and Phil Kraysler started Sweet Retreat Orchard, their holistically managed pick-your-own orchard and farm, in 2015 after Aniko left her job in the medicinal chemistry industry. As a native of Hungary, Aniko was inspired by her memories of walking through her grandparents’ gardens as a child, and wanted to provide that experience for families in her community. She also could see that the selection of local organic fruits in grocery stores was very limited, and she wanted to address that by growing a large variety of fruits and nuts. With a loan through Slow Money NC, Aniko and Phil were able to purchase thousands of trees and shrubs to start their orchard which is now operational in Hillsborough. Check out their Facebook page for information on how to visit. pasture-raise pigs, cows, and chickens, and educate their community about small sustainable family farming. While they have great sales at their booth at the State Farmers Market in Raleigh, they needed some funds to meet the conditions of a grant from the USDA. 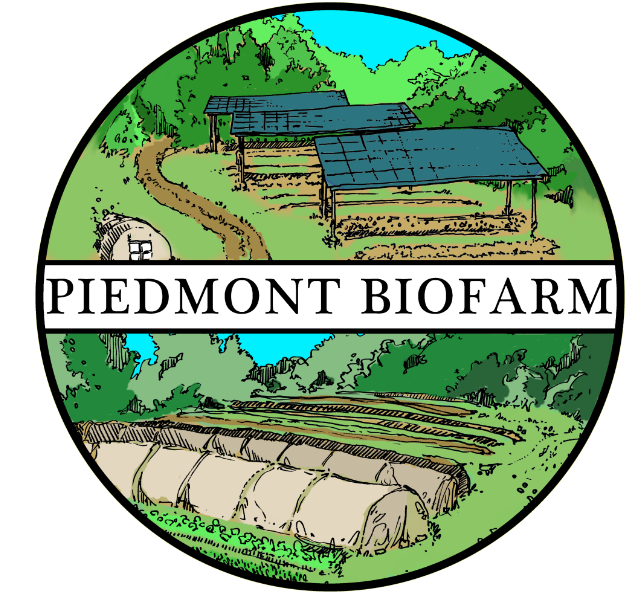 Slow Money NC made it possible for them to expand their operation and get a significant grant to increase their farm’s output. Check them out on Facebook for more information on how to buy their products. Mary Jane and John Bartlett raise several kinds of livestock in Harnett County and sells her meats through farmers markets and directly to customers. They needed help to buy more steer to add to their pastured pork and chicken, grass-fed beef, and free-range egg production. Slow Money NC was able to help them get the capital they needed to bring their steer herd up to ten! You can buy Little River Eco Farm‘s meat at the Apex and Carolina Lakes Farmers Markets, as well as on their farm in Erwin, NC. Bryce Bjornson started Duck Daddy Ranch in 2015 soon after moving to NC from Palo Alto, with the goal of strengthening the local food system by providing delicious poultry and eggs to his community. Though Bryce already had his ranch up and running in Seagrove, NC, with plenty of foraging land for his humanely-raised ducks, he wanted to be able to provide restaurants with a more steady supply of his product. With a loan from Slow Money NC, he was able to expand his duck operation and improve his on-site processing facility. Jules Beebe dove into sustainable agriculture right out of high school, so at 24 he had many years of farming experience under his belt. He wanted to expand his business of pasture-raising heritage pig breeds but needed some help covering the costs. Through Slow Money NC Jules was able to get a loan to purchase several pigs to raise, process, and sell to the community. was able to construct four separate grow rooms—each with their own controlled environment—allowing for an incredible variety of mushrooms, all grown using completely organic practices. But don’t let that new address scare you! 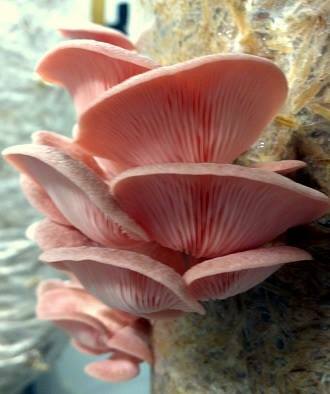 You can still find their delicious pink, Mediterranean, pearl, gray oysters, king oyster, shiitake, lion’s mane, black poplar, nameko, maitake, chicken of the woods, wood ear and other new varieties of mushrooms at Western Wake Market and across the Triangle! Brett Evans already had some significant farming experience when he began interning with Doug Jones at the Piedmont Biofarm. So, when the opportunity to become an owner of the farm presented itself, he jumped at the chance! The leadership transition allowed Brett to manage an established and functioning business, but he needed some capital to professionalize the farm which Doug had long used to facilitate his own teaching and seed-saving passions. So, with the help of some SlowMoneyNC lenders, Brett was able to purchase a walk-behind tractor, and construct a cool room to house his produce. 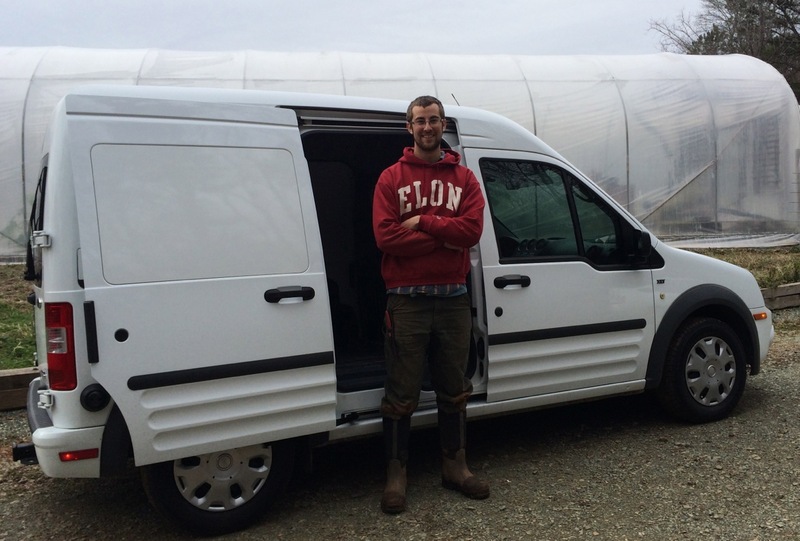 UPDATE: Piedmont Biofarm received an additional loan to finance the purchase of this truck–which allows them to bring their produce to market and make restaurant deliveries with far more energy efficiency than a traditional pickup truck. Marty Hanks believes that the entire human experience not only relies on, but can be expanded by, the honeybee. One-third of our diet is directly linked to pollination done by the honeybee; yet, every year, we lose about 1/3 of the honeybee population! As a chemical-free bee-keeper, Hanks seeks to educate people about the important “bee story” through offering delicious local honey. 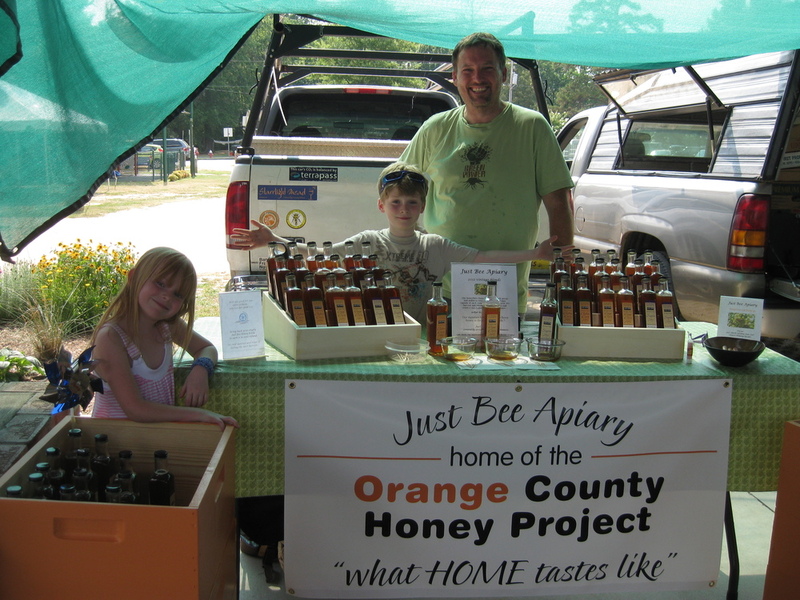 Through “Hometown Honey” flavors he discovered that where we live has a one of a kind taste and he shares that with us. Hanks sought a loan with SlowMoney lenders to purchase 50 more hives. This allowed him to not only increase production, but also diversify hive locations. Since a honeybee’s ‘food shed’ is only 3-5 miles from its hive, and each community has its own diverse flora, honey is a “liquid time capsule” of what a community tastes like! Hanks is now able to offer more honey at more markets, and that means more people are hearing about the importance of honeybees, and more people are enjoying these “micro-local” flavors! Check out more of the Bee Story here! Alvin Lytle had been in the nursery and lawn maintenance business for thirty years, when a down-turned economy encouraged him to return to farming on the land his family had owned since the 1750s. In order to make the transition, and to grow non-GMO grains for a hungry animal feed market, he needed a tractor; and, that is where a Slow Money lender came in! The bank was happy to loan Alvin $60,000 for a new tractor, but what he really wanted was a much more reasonably priced used tractor. His Slow Money loan meant he got what he needed, and his loan was several thousand dollars – not 60! Now in two Farmers’ Markets, Cove Creek Farms grows non-GMO grains and provides Asheville-area farmers with access to a local feed supplier. This is a great example of Slow Money doing what it does best – supporting farmers in ways that truly help them flourish. Update: Alvin later added a hog raising operation, again thanks a Slow Money loan to buy the first six sows and a boar. Madalyn Baldwin had an interest in farming even as a high-schooler in Durham, so after studying sustainable farming practices, and interning on two NC farms, she decided to start a farm on 34 acres of family land in Prospect Hill. Together with her parents, Madalyn has planted fruit trees, pollinator forage, and built an infrastructure for perennial garden plots. A SlowMoney loan meant that Madalyn could install an irrigation system to increase her farming efficiency, and it allowed for a hoop house to extend her tomato growing season, and enable the production of fall and winter greens. Sheep grazing under solar farms, instead of chemically spraying to kill off the grass? That’s a great idea! Jimmy Mundy, a sheep farmer in Mt Airy, thought so. But cleaning the feet of a couple hundred sheep is very time consuming. So he got a Slow Money NC loan to purchase equipment to make the job quicker, and easier on the sheep. He is now partnering with Whole Foods, who have agreed to buy as many grass-fed lambs as he can raise. We see a lot more sheep in Jimmy’s future…. Keith Hill, the grower and cultivator behind Robinson-Hill Organics, walked away from working as a corporate account executive with Hearst Publishing to pursue his first love, farming. Now in his third season, Keith maintains his healthy way of living by growing and selling organic vegetables. You can find Keith’s produce at the Urban Farmers’ Market located on Elm St. in Burlington, at a farmers’ market at Holly Hills Baptist Church, in Mebane at the Mebane Farmers’ Market, and in several farm-to-table restaurants. Screech Owl Greenhouses keeps Pittsboro local foodies in lettuce, peppers, tomatoes, cucumbers and more – pretty much all year around. So when Screech needed a loan to finish off another greenhouse and replace plastic on the old ones he got it easily. Thanks Screech! Established in 1978, Windcrest Farm is a 14 acre USDA Certified Organic farm and greenhouse supplying market farmers and home gardeners with heirloom vegetable, flower, herb and fruit plants as well as growing fresh produce for local farmers markets and restaurants. In addition to growing specialty and hard‐to‐find plant varieties, Windcrest Farm conducts on‐farm classes and educational tour. Owners Ray & Mary Roberts have operated it commercially since 2003. Despite Windcrest’s large size, their production has been limited by their water supply. In order to expand, the Roberts needed to drill a new well on their property. They received a grant from the USDA that would reimburse them for 75% of their costs, but needed a little help from some Slow Money NC lenders in order to get started. Garland McCollum approached us in the fall of 2012 for help transitioning his family’s 100 year old hog farm to a more sustainable model. Having already switched to raising free-range, antibiotic and hormone free livestock, Garland wanted to build additional housing for Massey Creek Farm’s turkeys, chickens and sheep. We were thrilled to be able to help Garland and his family prove that healthier, environmentally friendly meat products can be profitable, too! David Heeks left his office job in 2009 and decided to start farming, working and learning at the Breeze Incubator Farm in Orange County for two years before leasing his own land in 2011. David now operates Heeks Farm full time, with the help of his wife Robyn. They came to us in 2012 looking for help to purchase a precision seeder and walk-in cooler to optimize their vegetable growing from getting the plants in the soil to making sure they were fresh and ready for market. Look for David and Heeks Farm veggies at the Durham and Carrboro farmers markets. Casey and her daughter, Calee selling their farm fresh eggs. 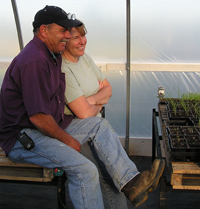 Michael and Casey Lance, owners of Calee’s Coop’s Farm, started their farm in 1998 as a hobby. Now they have 500 chickens and 15 hogs, and provide eggs and pork products to the local tailgate market and other retail outlets in Transylvania County. Since demand for their eggs is greater than their supply, the Lances needed to expand with an additional coop. A Slow Money loan enabled them to build the coop and expand their flock right away to satisfy the growing demand for their products. 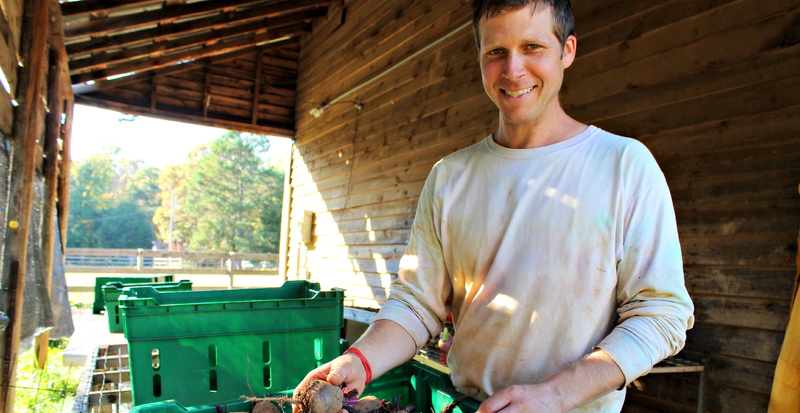 Tucker, the owner operator of Lilly Den Farm in Goldston, NC, has been farming since he was 15. He raises grass fed beef, lamb, chicken, and goat that he and his wife, Mackenzie sell at local farmer’s markets, and to local restaurants. He wants to keep providing quality products to the local community and hopefully expand production. For several years he has been renting a skidsteer, but as his farm grew he needed it more and more often. Then one day he found a used skidsteer for a great price and in great condition. 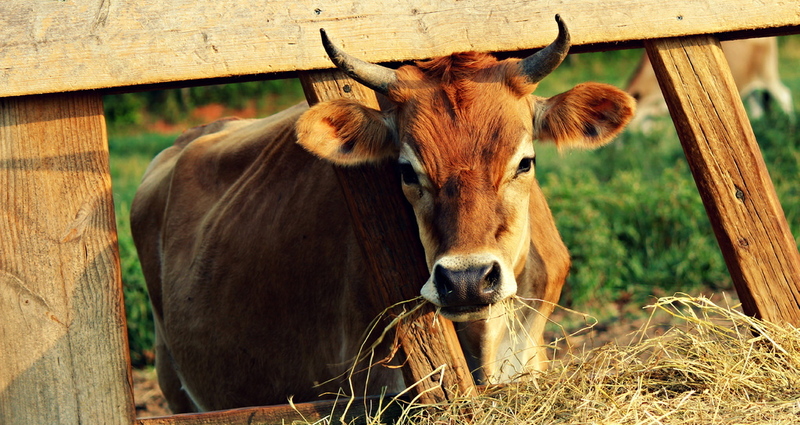 A Slow Money loan meant he could purchase it quickly, which is making it much easier and more efficient to feed his cows and other animals, and to clean and maintain the farm and barns. Homegrown City Farms is our first Slow Money NC loan to an urban farm. Located on a 1/4 of an acre in East Durham behind a collection of interesting looking houses, are rows of raised beds with rich, dark, nearly black soil mounded high. When we first visited this was a farm in the making, and a dream come true for Collier Reeves and Maryah Smith-Overman. Their plans called for Homegrown Farm to serve a 15 member CSA and restaurants, to serve as a meeting place for community workshops (free to the CSA members), and to be a model for intensive food production in urban areas. Collier and Maryah planned to integrate home vegetable garden design, installation, and maintenance services for the 2012 summer and fall seasons. Which is exactly what they have been doing! It is always a pleasure to find Mackenzie and Tucker and their children at the Saturday Chatham Marketplace Farmer’s Market, amidst their locally grown, naturally raised Lilly Den meat from their farm in Goldston. For over three years Lilly Den Farm has been producing a variety of quality meats and selling them in local Chatham County farmers markets, restaurants, and businesses. Part of their feed comes from spent brewers grain from the Carolina Brewery, local cows on a local food diet. Tucker likes breeding, raising and selling beef and chicken. He’s also passionate about his herd of dairy show calves, heifers, and cows. He takes them to cattle exhibitions across the country with his four-year-old son, Dennet, and three-year-old daughter, Lilly. Meanwhile, the meat production at Lilly Den Farm has been growing and required new labels on all of the meat packages to meet health department regulations, and to better inform customers of what they were buying. These nice new labels meant a one-time cost of $500 and made for a perfect small Slow Money loan. This time the lender chose to be paid back with a $500 gift card at Chatham Marketplace. Over several months that amount will be deducted from the money that the store would be paying Lilly Den Farm for chicken and beef. Isn’t that convenient? It’s a win for everybody all around, and another “first” for Slow Money NC, as we keep finding innovative ways to finance our local foodshed. Alfred is possibly the most industrious person we’ve ever met. He started baking bread and selling it at the Eno River Farmers’ Market, while he getting a working farm started in Cedar Grove. Because of hurricane threats to his house in Galveston in 2006, he had brought his family to NC, escaping the flooding the house received in 2008. Right away away he started planting things. Like trees – 19 apples, 5 pears, 6 figs, 3 jujubes, 2 edible timber bamboos. Then 3 varieties of blackberries, 130 asparagus plants, 30 muscadine grapes, as well as walking onions and chile pequin peppers. And he put up four water collection containers that can collect and store 1000 gallons of water. When he came to us for Slow Money for an irrigation system to get that water to the fruit trees it was easy to find folks who wanted to help. Now he plans to add mayhaws, medlars, quince, pears, peaches, plums, and some more apples. Plus elderberries, blueberries and raspberries. And all this with minimal machinery, since he lacks a tractor. Once the farm is established he intends to develop a farm-nursery business, and propagate plants to sell. Because Alfred know a tremendous amount about plants. He has a PhD in plant biology and his wealth of information is becoming a great resource to our farming community. When he came back for another loan to build a solar greenhouse his timing was excellent. We had just had a pledge from a couple in Hillsborough, which is just up the road from his place. 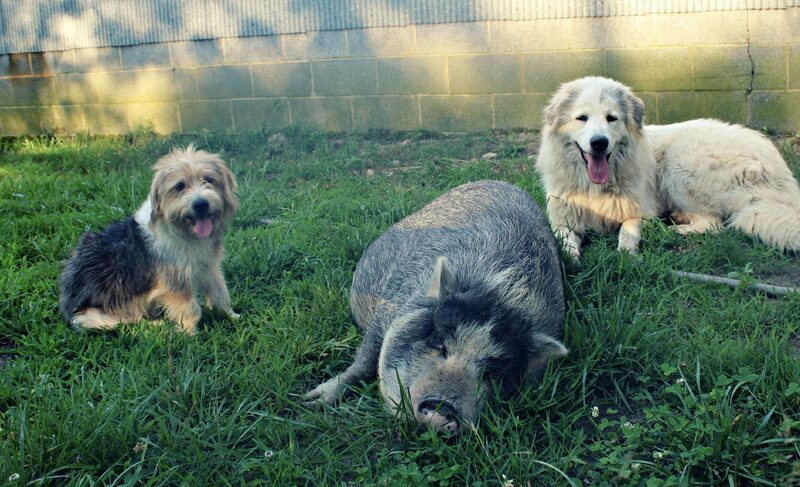 They all met and these generous neighbors were happy to make a small loan to cover the cost of Alfred’s project. With the greenhouse comes three types of palms that survive in the Piedmont, ornamental succulents, like Kalanchoe, other cacti, agaves and Aloe spp., a long list of herbs, and starts for tomatoes, peppers and other vegetables to sell at the farmers market. Fancy chickens are coming later, and the bees are already in place for honey and pollination. Industrious is an understatement. If you get a chance, go meet Alfred and talk plants. It’s fascinating. Galveston’s loss has certainly been central NC’s gain. Patrick Walsh’s customers at the Carrboro Farmer’s Market like everything about his Castle Rock Gardens free range chickens…except one thing. They play hard to get. With a production of 1000 broilers a year, Patrick routinely runs out of chickens to sell at the market long before the customers stop asking for them. His Slow Money loan will change that by affording him the opportunity to increase his production to 4000 birds, and result in many more happy customers. His three acres of production will also continue to provide them with vegetables, fruit, and a couple of hogs in the fall. We visited Patrick on a sunny February day. Fluffy white Cornish Crosses pecked happily at the ground cover. They would be ready for market in about two weeks. 150 week-old chicks huddled under lights in their mobile chicken coop. In a few more days they would be investigating their fenced in corner of the farmyard, filling themselves up on sunshine and bugs and whatever they could forage. 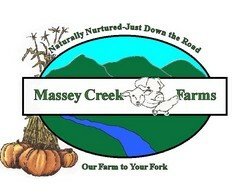 It was a happy place and we are delighted to be part of the expansion of this friendly, local, sustainable farm. Kelly Brott r uns Yknot Farm in Goldston, North Carolina. Goldston is on the southern edge of Chatham County. And she has a list of capital requirements as long as your arm. Kelly graduated from Central Carolina Community College’s Sustainable Agriculture program, and has been raising chickens and pigs and goats for awhile now. She keeps a llama to protect her goats. She sells a lot of her meat through the legendary CSA down in Southern Pines. So we went down with her to Southern Pines and met with several local food enthusiasts at Hunter Stovall’s office on Valentine’s day, and Kelly told her story. She wanted to buy 150 chickens and 60 ducks along with the feed and supplies to bring them to market. The people who are accustomed to getting her chicken in their CSA boxes, were happy to help make that happen, and help Kelly with the financing she needed. Eaters lending to producers. There’s an idea. Pastured poultry that lives instinctual lives will continue to make it to the dinner tables of Southern Pines. After the loan was struck, Kelly sent out an email to the group. Here is what she said, “Your financial support indicates to me how serious the local community is in supporting small, local businesses and in providing consumers with healthier food choices than what is available through current mainstream options. Knowing I have the backing from individuals who push the envelope of change in their environment like yourselves makes my resolve stronger in making my sustainable, grass/forage raised meat business more than just a fleeting opportunity.” Perfect. That’s exactly what Slow Money is supposed to be about.